After an enthralling overland drive meet during the day last month, 'India-Drive' now invites you to drive along for an overnight camp under the beautiful night skies for those who believe in self exploration while allowing in-depth discovery of the destination. Let us drive in a union spirit to continue this year on a cheerful note. So come out, join our convoy with 'India-Drive' and hunt down to our own piece of paradise. 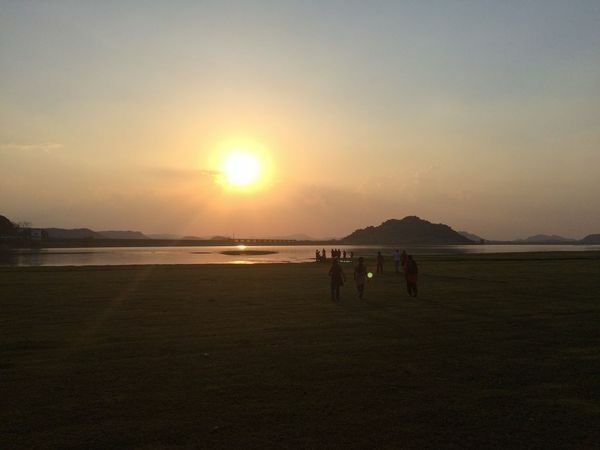 Koilsagar is a reservoir which stretches across Peddavaagu (A minor tributary of river the Krishna). The western stretch of this picturesque reservoir is surrounded by hills making it a beautiful treat to eyes both during sunrise and sunset. 2:00 PM - We start from off from the meet-up point towards Koil Sagar. 3:30 PM - Stop by for a Tea break. 4:30 PM - We reach Koil Sagar. 5:00 PM - We have an introductory session and set out on a small trek for birding. 6:30 PM - We get back to the arena and start pitching our tents. 8:00 PM - Some group activities and BBQ time. 6:00 AM: Wake up for Sun-rise. 6:30 AM: Walk around the nature to enjoy the morning sky. 8:00 AM: We start back to Hyderabad. 9:00 AM: Stop by for breakfast. Reach Hyderabad by 12:00 PM. Please do carry your own water bottles and snacks which could be sufficient for 2 days and a night. Bring your own sleeping bags or quilts or bedsheets to in-line your tents before you hit the sac. Camera kits and Telescopes if any star gazing enthusiasts or night photography enthusiasts. How do i add my self in just writing my name is enough? We can have a travel and car talk for the whole night.